Looking for a particular martial art? We hope your week is going well! We are kicking off our busy week with two 45 ft containers full of martial art goods. Lots of new products as well as redesigned products for your training needs. Speaking of training: There are a lot of customers asking where the Dojos are in Hawaii. Here is a link to help you on your way. /www.onzuka.com/. Like we have said before do not hesitate to ask us any questions and do not be afraid to contact any of the instructors on the list. Good Luck! Jui Jitsu the unarmed martial art form. 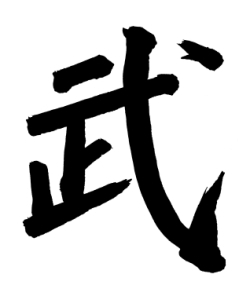 Today's topic is Jui-Jitsu the unarmed martial art form. The video above is only a few of the many effective techniques used to take down an opponent. Here in Hawaii there are many forms of Jui-Jitsu: Brazilian, American, traditional, Japanese, and much more. We believe that judo and jui-jitsu used to be one in the same but we can not back that answer up. Does anyone know the history of the Jui-jitsu form? We have tried to do some research and ask questions but all the answers we get are different. If you live in Hawaii we do recommend checking out Mad Tiger Academy with Eric Goo. If you have any questions about any martial art form please do not hesitate to ask us! Thank you for stopping by. Hello Everyone! We hope you all had a great weekend.The question of the year, "Are ninjas really real?" Yes, Ninjas or rather shinobi are real. When ninjas came about they were used as assassins and spies paid by either the lower class to kill certain samurai or hired by samurai to kill other samurai leaders. Here is a link for more on the history of the ninja: History of the Ninja. We do have one 15th Don in Bujinkan Shirowashi in Hawaii Robert Fraser: Bunjinkan Shirowashi. If you are interested in studying the form do not hesitate to ask us any questions we will be glad to direct you in the right direction. So do ninjas really exist? Krav Maga similar to kajukenbo? Great styles for self defense! Ladies and gentlemen if you are looking for a self defense martial art form we highly suggest looking at krav maga and the kajukenbo systems. Enjoy the Video and have a great day! Today's featured product is the hand wraps. We carry 118" wraps available in black, red, yellow, and natural at $7.95 per pair. There has always been battles on how to wrap your hands the right way. Honestly, there is no wrong or right way to wrap your hands: It all depends on how and what you are training for. A traditional boxer will wrap his hands different from a Muay Thai boxer and a mixed martial artist will wrap his hands different than a kenpo person. The point we are getting at is to know your goals and wrap the way that fits your training style. Here is a link to help get you started: Hand wraps 101. Have a great day! KC Hawaii Year End Sale! Oahu's little martial art store with a big bang.